Nobel House Birch Flooring in English Leather has a refined elegance to it that makes it a popular choice for those drawn to the traditional style. It adds a lovely touch to formal living rooms and dining rooms. Each dark plank is crafted from natural birch and is accented with a subtle distressed finish that has been done by hand for precision. This distressing adds texture, richness and uniqueness to each plank. The engineered construction (a technique in which a solid birch core is supplemented with hardwood veneer) adds strength to the final product. 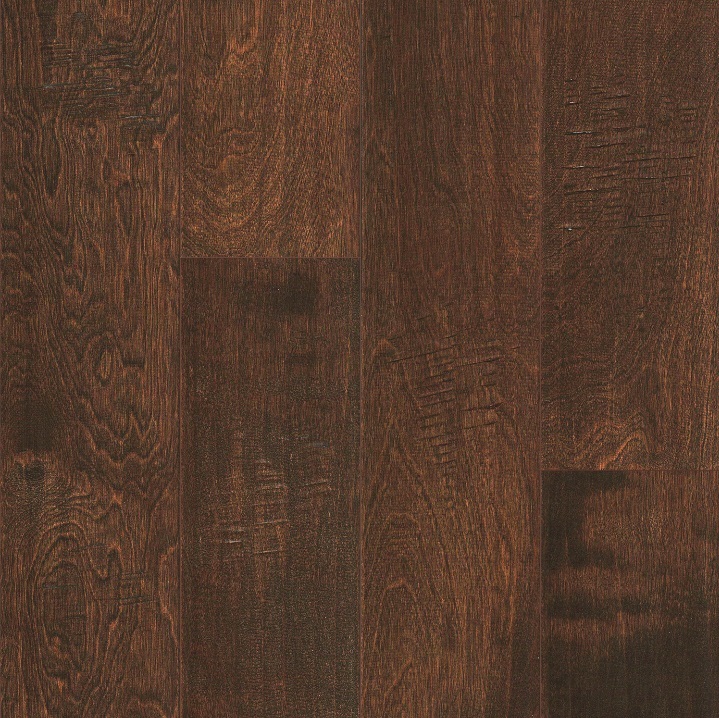 Engineered wood is also more resistant to moisture and humidity when compared to solid hardwood. Birch is best recommended for rooms that experience medium foot traffic.